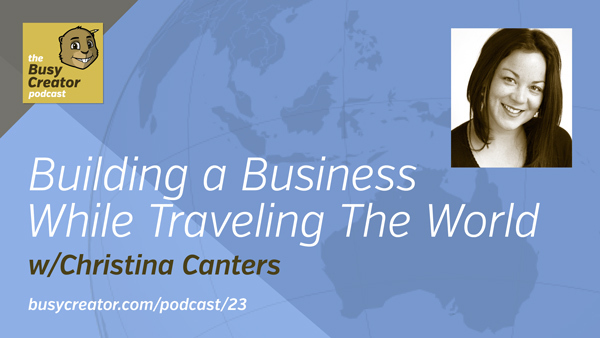 This conversation focuses on travel, as well as the mindset and preparation required to build a new business on the road. Christina and Prescott share their war stories — and fond memories — from travels and studies abroad, and commiserate about the prices of certain goods in different places. Keep up with Christina and her travels via her blog,Kips and Kale. Christina is on the road, speaking from Austin, TX. As of publishing, she’s in Thailand. How are you going to pay the bills on day one? Travel light. Literally, and spiritually. Build a workflow you can torture-test. Print receipts, save a PDF, keep backups. Save multiple copies and don’t rely on a single point of failure.